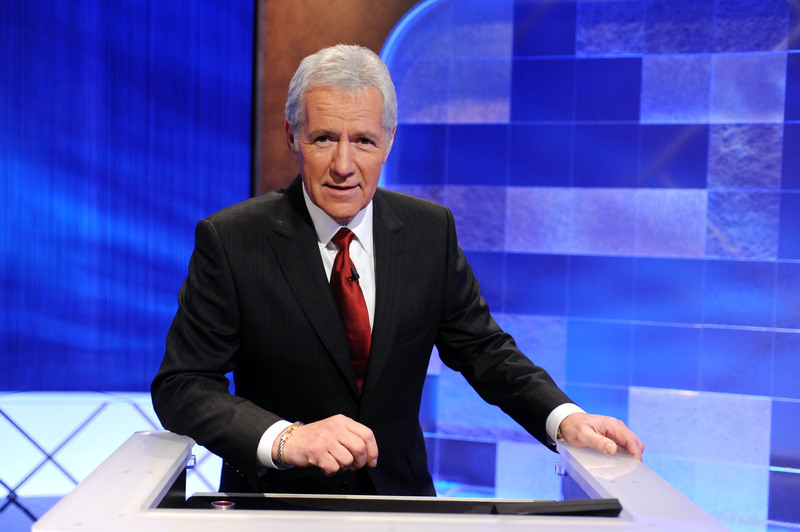 I am no trivia wizard, but even I have to admit that there's something truly beautiful about watching Jeopardy host Alex Trebek read the game show answers out loud to his guests. His delivery is dolphin smooth and perfectly consistent, no matter what the answer he's reading happens to be. Nothing could prove that more than his recent reading of an answer from the "Hard Rockers" category: Monday night's Jeopardy episode, which was part of the Teacher's Tournament, brought out Trebek's inner rockstar — and it was equal parts awkward and legendary. Girls, girls, girls... long legs and burgundy lips... Girls, girls, girls... dancing down the Sunset strip... Girls, girls, girls. So yeah. Lots and lots of girls... girls... girls. And if you can't imagine what Trebek would sound like with these words unspooling from his mustached lips, well, just watch the video for yourself. It doesn't exactly matter what song lyric he chooses from the tune (though the one above would be PRIME) because any part would be horrendously awkward to read aloud. Would die happy if this were to happen. I can only imagine the enthusiasm he would use. "And I was like, baby, baby, baby, noooo." If he can do the extreme finger motions, all the better. I mean, if the way he says "girls" is disturbing, imagine "bang, bang!" It might be too much for any of us to handle.